What Are the Highs and Lows of CEO Median Pay? In this month’s Comp & Gov Spotlight, we are focusing on the results of Farient’s Pay Ratio Tracker, now in its second year. In this month’s Comp & Gov Spotlight, we are focusing on the surprising results from Farient’s Pay Ratio Tracker. The Farient Pay Ratio Tracker monitors and aggregates the CEO Pay Ratio for S&P 1500 and Russell 3000 companies, measuring the gap between CEO and median employee pay. The results, which vary enormously between industries, impact media coverage, shareholder concerns and corporate governance perception for companies. Since Farient’s last briefing, 93 companies in the S&P 500 have reported their pay ratio, bringing the total to 418. The S&P 500 median has increased by 5 points, to 157.5:1, since the last report. The Consumer Discretionary sector, which includes such companies as McDonald’s, Mattel and Target, has the highest median ratio, at 453.5:1. There are some extreme outliers, such as Wal-Mart’s ratio of 1,188:1, which result from high levels of part-time and seasonal staff. Other distorting factors include one-time awards to CEOs. Ralph Lauren’s ratio of 1,111:1, the company publicly stated, was due to a one-time equity grant to an incoming chief executive. Interestingly, negative media coverage has focused more on low median pay rather than overall ratios. The Consumer Staples sector, though it has the second highest pay ratio, has the lowest median employee pay. Overall, low median pay in sectors corresponds with high gaps between median and CEO pay, with the Energy and Utilities sectors reporting both low pay ratios and relatively high median employee pay. Companies across sectors will continue to have to explain high ratios and low median pay within the context of public and media criticism of corporate compensation practices, while communicating effectively with shareholders on matters relating to executive compensation. 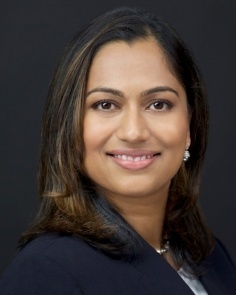 Zanvi Patel is a Partner at Farient Advisors with more than 15 years of experience in compensation and rewards, including consulting and corporate human resources. Ms. Patel was previously Head of Global Total Rewards at E*TRADE Financial, where her purview included executive compensation, sales incentive plans, equity administration, charitable giving employee recognition and retirement plans. Though several important blue-chip companies have yet to report, Farient does not expect overall pay ratios to change much by the end of the year. As expected, overall ratios are strongly influenced by sector and staffing strategy, with sectors relying on part-time and seasonal staffing reporting high pay ratios and low median pay. A trend apparent since the 1990s has been accelerating: eliminating middle management positions in major corporations. This “flattening” of corporate structures has some benefits, but research indicates it also contributes to low wage growth overall, as well as low median pay and high CEO/median employee pay ratios within companies. Mergers and acquisitions are rising globally, but too little attention is paid to the role of executive compensation strategies in retaining top talent. In the second part of this series on M&A, Farient CEO Robin Ferracone explores the five principal M&A transactions and the role played by compensation strategies in each.